"For years my performance evaluations have reflected a communication difficulties and this was getting in my way to being promoted. Until I received coaching, I was not aware there wasn't anything I could do about it. Now I am very aware of my word choice, body language and voice quality." “As I began my role as a CFO, I knew I could do a better job of influencing and persuading others, as well as with my communication skills during 1:1 and group meetings. With a focus on enhanced Emotional Intelligence, my awareness of the impact of my word, body language and voice grew exponentially as well as my ability to manage how I communicated. I would highly recommend this coaching." "I dreaded any time that I needed to give a presentation and avoided them even to the detriment of my career. This coaching gave me the skills that I needed to overcome my fear and I now receive positive feedback regarding my presentations." "Prior to this coaching, I was hesitant to speak up in meetings. Speech Training in English Pronunciation (STEP) gave me the confidence to share my ideas with my team..."
"The STEP Program significantly improved my speech skills by not only improving my speech skills, but also my tone and intonation. This helped my colleagues know when I was asking them a question or making a statement. In addition, I learned the cultural differences between my native language and American English, such as eye contact. I worked on improving my eye contact." “As I began my role as a CFO, I knew I could do a better job of influencing and persuading others, as well as with my communication skills during 1:1 and group meetings. With a focus on enhanced Emotional Intelligence, my awareness of the impact of my word, body language and voice grew exponentially as well as my ability to manage how I communicated. I would highly recommend this coaching. For more than 25 years Communication Associates has provided services to their clients in support of improving communication skills. Avoid making presentations due to a bad experience? “Tech Speak” and lose your audience with your vocabulary ? Have very busy visual aids that you “read”? Speak too loudly/ too softly or do you speak too slow or too fast? Have employees tell you “you don’t listen to them or their ideas”? Not have as good “people skills” as you or your boss would like? Have an accent that others don’t understand? Have to repeat yourself or spell words because people can’t understand what you’re saying? If you have answered yes to any of these questions, Communication Associates can help you. Our Approach: Individual or Group. Specializations: Executive Communication Coaching, English Pronunciation, Presentation Skills. Sponsorship: Usually Paid for by Employers. Scheduling: Flexible with your Business Schedule. Location: Your Company Site or our Offices. 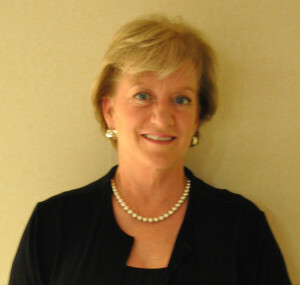 Communication Associates was founded in 1985, by Cindy H. Dellenback. Ms. Dellenback is involved in the design and customization of all coaching for all clients. President and Founder of Communication Associates of San Antonio. Been in the business of Communication and Executive Coaching for over 25 years. Clientele includes CEOs, COOs, CFOs, CIOs, Executive Vice Presidents, directors, managers and other professionals, including Fortune 100 and 500 companies, as well as small to medium sized companies. © 2019 Communication Associates All right reserved.